Told from two different points of view, Local Girl Missing is one of those intriguing books filled with secrets that you just can't wait to unearth. 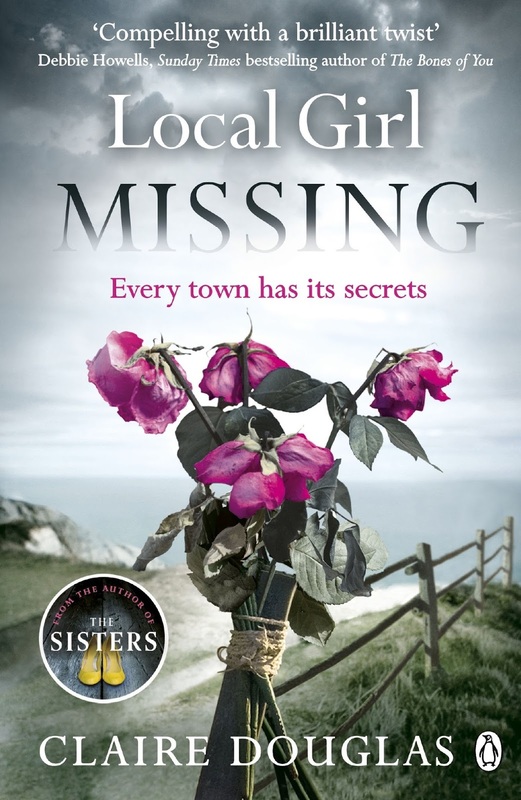 Along with the fast pace, I loved the two different voices of the story; that of Frankie returning to her hometown when a body has been found and the voice of Sophie who went missing twenty years ago. Will the truth about Sophie's disappearance be revealed at last? This was quite a tense story, my tension often exacerbated by the many ghostly goose-bumpy feelings I experienced. It is filled with small town secrets and Frankie's return seems to have made them bubble to the surface and burst with catastrophic consequences. Frankie and Sophie had quite a toxic friendship and the flashbacks to the past made it interesting to see the dynamic between these so-called friends. Although I didn't really empathise with any of the characters, despite disturbing events in their past, I found the quality of the writing to be excellent. It was so atmospheric that I felt chilled to my bones and could almost taste the tang of the salty sea air on my lips. I'll definitely be looking our for any new books by Claire Douglas and I'll make sure to add her debut, The Sisters, to my reading list.